Modern, 5-armed coat stand made of folded sheet steel. Clear design statement. The UPON line is already a modern-day classic. Crafted from folded, bend steel sheet, the items in this range are finished in a finely textured powder-coating that comes in choice of colours. 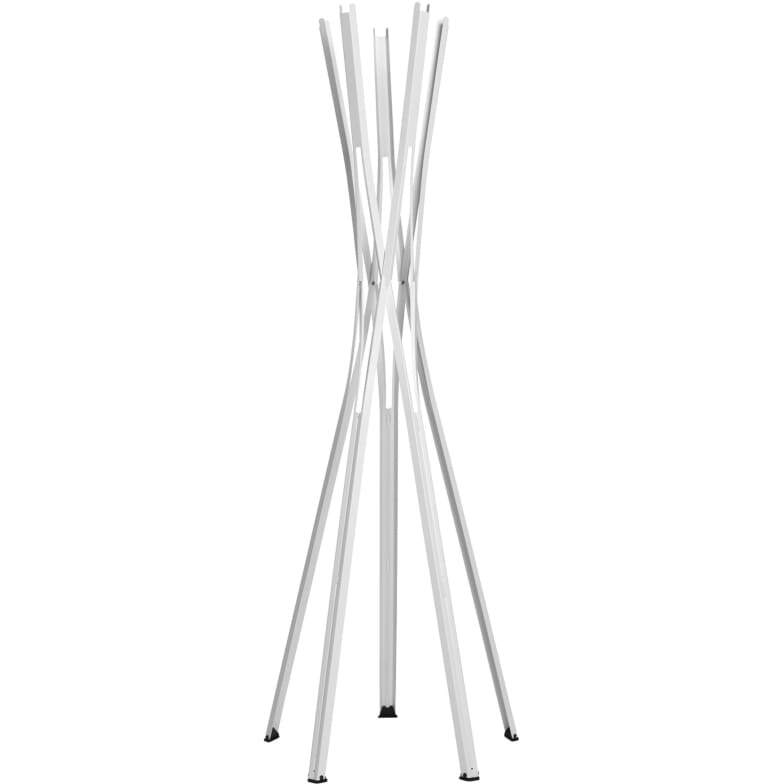 The coat stand consists of five intersecting arms and stands on rubber pads for extra stability. The wall-mounted coat rack was designed with the overhead luggage nets of old trains in mind. The matching bench is topped with open-grained, lacquered ash. Solo or in combination, UPON makes a striking yet classy addition to any entrance area. Purist and effective. Do you have a question about "Upon 1430"? How can we contact you?